How to turn colorful PDF to grayscale online? Home » IT & Tech Blogs » Information Technology » Software » How to turn colorful PDF to grayscale online? When you’re in need of printing a PDF file in black and white, you should check how the grayscale PDF look like at first. Meanwhile, converting PDF to grayscale also enables you to reduce the file size of your PDF. There are a various of PDF software like Adobe Acrobat that enables you to grayscale your PDF. 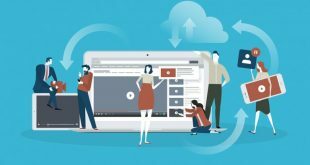 However, if you don’t want to install a PDF software on your computer, an online PDF manager would help you achieve it as well. PDF Convert Free is an online PDF management tool for you to grayscale PDF in the simplest way. How to turn PDF to grayscale with PDF Convert Free? PDF Convert Free is a simple and straightforward web-based tool for you to convert PDF files to formats like word, image, TXT or Latex. As well as merge, split your PDFs, rotate, compress them, or protect and grayscale these PDF files. This free online tool enables you to upload up to 5 colorful PDF files each time. 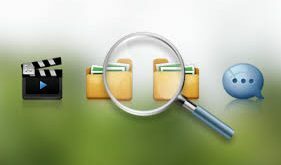 Also protect and private your PDF files with guarantees to delete the uploaded PDF files in 15 minutes. Simply upload your PDF files, select the corresponding converting method and you are good to go. Merge a bunch of PDF files together. Split PDF into separated PDF files. Convert PDF to images (JPG, PNG, BMP or Tiff). Convert PDF to Excel/ PPTX/ TXT/ EPUB/ SVG. 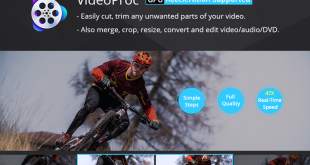 Compress PDF to a smaller file size. 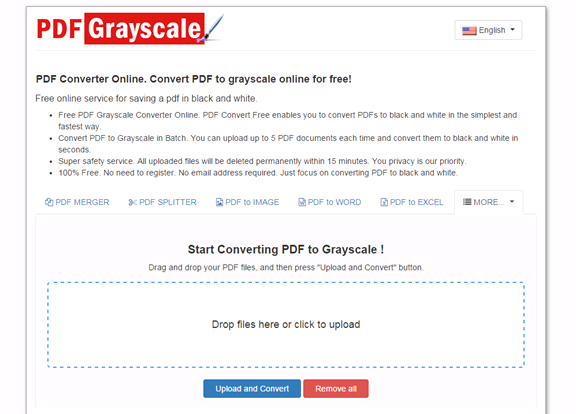 To convert a PDF to Grayscale with PDF Convert Free, try to follow the following step by step tutorial to get your black and white PDF. Launch your Web browser and navigate to the site pdfconvertfree.com. Click more and choose the “PDF Grayscale” option to start grayscale your PDF. Drag and drop up to 5 desired PDF files on the main zone. If you’ve uploaded a wrong file, hit the “Remove file” button to remove unwanted PDF file. When you’re done, hit the “Upload and Convert” button to turn your colorful PDF into b black and white easily and quickly. Waiting for seconds to get a download link. Hit the link to get your grayscale PDF on your computer. With no need to download or install anything, PDF Convert Free offers one of the quickest and easiest way to strip the colors from your PDF files. This powerful and free online tool allows you to turn colorful PDF files into black and white in a matter of seconds. If you’re in need of creating grayscale PDF, hit here and give it a try.